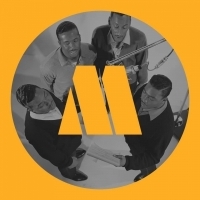 The Four Tops are Motown legends who formed in 1954, featuring founding member, Abdul 'Duke' Fakir. Fakir lines up alongside Roquel Payton, son of original member Lawrence Payton, Theo Peoples and Ronnie McNeir. They have chalked up numerous hits on both sides of the Atlantic, although their most memorable are: 'Reach Out, I'll Be There', 'Standing In The Shadows Of Love', 'I Can't Help Myself' and 'River Deep - Mountain High' (with The Supremes).